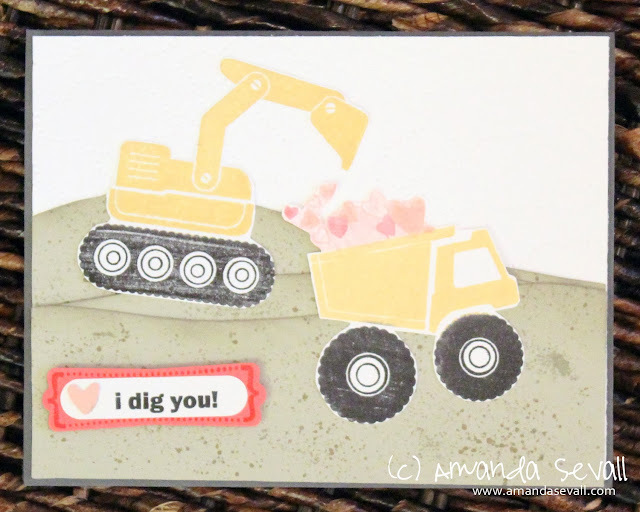 Amanda Sevall Designs: 365 Cards: I Dig You! 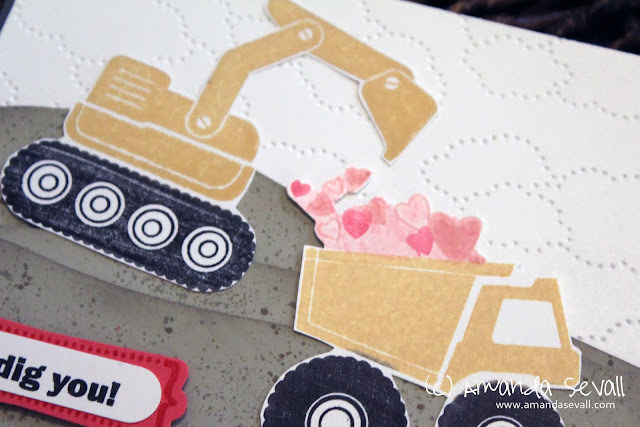 I put lots of detail in this card by hand cutting the "dirt" then using my Color Spritzer (retired) to add two shades of markers (Crumb Cake and Sahara Sand) to splatter the dirt before sponging the edges with Sahara Sand ink. So cute! 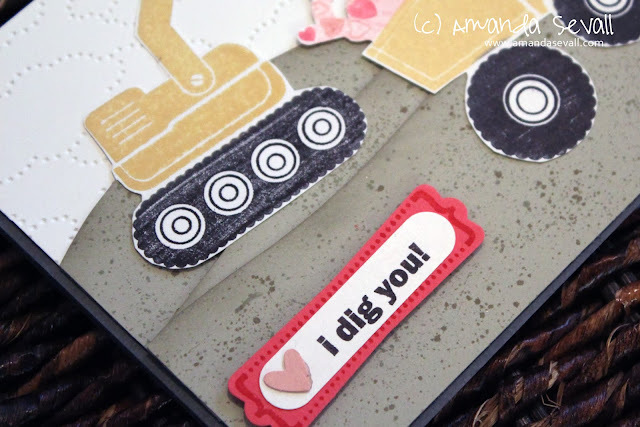 I love the 'dirt' and the dumpster of hearts!